Welcome to the tenth block post for the EPIC Harry Potter Quilt Along 2019! THANK YOU TO JANET WHO WROTE TO ASK ABOUT THE FINISHING INSTRUCTIONS. THE CHART FOR THE FINISHING OF THE 106" X 106" QUILT WAS INCORRECT. PLEASE CLICK HERE TO GET AN UPDATED VERSION OF THE FINISHING INSTRUCTIONS. 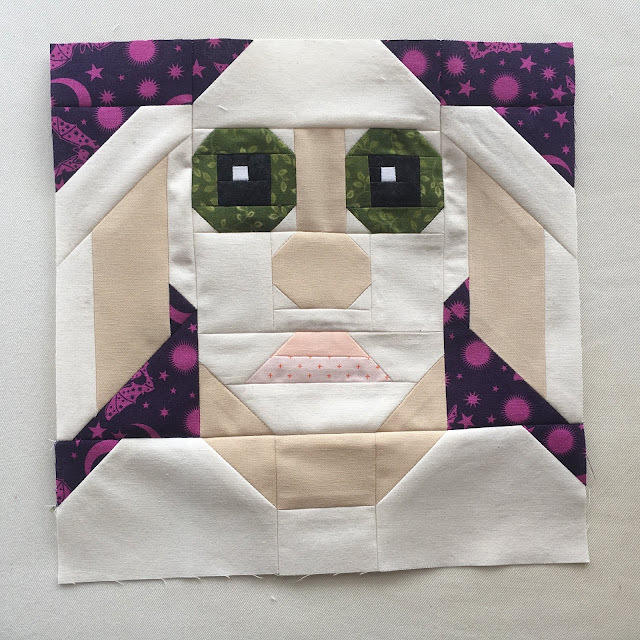 Today is Week Ten in the Block instructions for piecing the Dobby Selfie block! 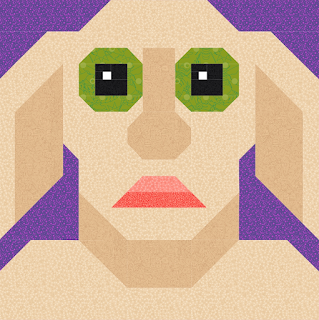 To download the DOBBY SELFIE printable PDF, click here.